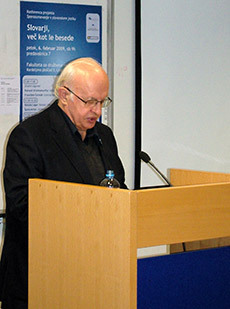 On 6 February 2009, the conference Dictionaries, More Than Words took place at the Faculty of Social Sciences in Ljubljana. The full programme of the conference which was part of the Communication in Slovene project was recorded and is available at www.videolectures.net, and the materials presented by speakers are available at the links below. The public discussion portion began with a short presentation by Jure Zupan, (National Institute of Chemistry) who presented his concept of a hierarchically organized dictionary of the meanings of Slovene words (in Slovene). 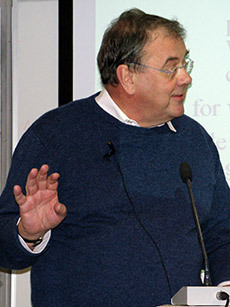 His presentation was followed by the public discussion. For more photos please go to the picture gallery. Copyright © 2008-2011 Amebis, d.o.o., Kamnik. All rights reserved.